First shown at the 2009 Geneva Motor Show, the new Peugeot 207 Economique will go on sale in the UK in October and will be available in two trim levels, Economique and Economique +. It will be competitively priced with the entry level Economique three-door model starting at an on-the-road-price of �12,995.00. The standard specification will include: Unique aerodynamic styling pack, electric air inlet flap, ABS, EBFD, EBA, passenger seat height adjustment, steering column adjustable for reach and rake, adjustable front head restraints, electric front windows. The Economique + adds air-conditioning, electrically operated/heated door mirrors and a trip computer to the standard specification of the Economique version. 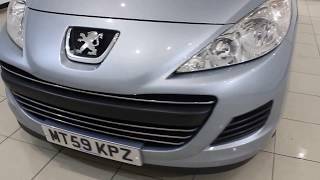 The 207 Economique is powered by Peugeot�s 1.6 liter HDi diesel engine developing 90 bhp at 4000 rpm and 161 lb ft of torque at 1750 rpm. 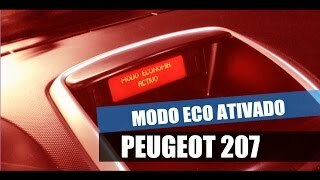 One of the main features of the Peugeot 207 Economique is the CO2 emissions level which is only 99 g/km. Europe 's top selling small hatchback, the Peugeot 207, is now even �greener� with the introduction of the new 207 Economique and Economique + which emit only 99g/km of CO 2 . In 2008, one in every six new cars sold that emit less than 120 g/km of CO 2 was a Peugeot. Peugeot hold the protection of the environment as a key design strength in all its vehicles and is continuously developing them to reduce their emissions to the lowest possible level. First shown at the 2009 Geneva Motor Show, the new Peugeot 207 Economique reflects this commitment and uses the latest technology to reduce CO 2 emissions to just 99g. The new Peugeot 207 Economique will go on sale in the UK in October and will be available in two trim levels, Economique and Economique +. It will be competitively priced with the entry level Economique three-door model starting at an on-the-road-price of £12,995.00. The standard specification will include: Unique aerodynamic styling pack, 15� steel wheels with �Aero� trims, black instrument dials, lion grey interior door handles, chrome insert to gear knob, black body-side mouldings, black door handles, electric air inlet flap, ABS, EBFD, EBA, passenger seat height adjustment, steering column adjustable for reach and rake, adjustable front head restraints, 2/3 � 1/3 split folding rear seat, electric front windows � �one touch� for the driver, three rear three-point inertia seat belts, remote control central locking with deadlocks, side airbags, passenger airbag, driver airbag, power steering�. The Economique + adds air-conditioning, electrically operated / heated door mirrors and a trip computer to the standard specification of the Economique version. The 207 Economique is powered by Peugeot's already legendary 1.6 litre HDi diesel engine. The fuel consumption and emissions of the engine have been reduced to the lowest levels possible by specially developed engine management software and the addition of an EGR heat exchanger to cool the re-injected exhaust gases. It is fitted with a specially modified five-speed manual gearbox with a higher final drive ratio than the standard 207 hatchback. To ensure all the engine's power is used to propel the car forward, Peugeot's engineers have spent a lot of their time improving the aerodynamics of the 207. As a result of their work, the 207 Economique has an exceptional drag coefficient of only 0.274, compared to the standard 207 HDi 90 hatchback of 0.30. To reduce the rolling resistance, Michelin 15� 185/65R15 VLRR (Very low rolling resistance) tyres are fitted. The front of the 207 Economique shares the new �softer� one-piece design with the rest of the 207 range, combined with a specially designed black front grille. At the rear, the car benefits from hi-tech rear lights incorporating LED technology, something of a rarity in this market segment. From the side, the 207 Economique has a more aerodynamic profile enhanced by the 15� steel wheels with �Aero� trims and the wrap-around rear spoiler with its side extensions surrounding the rear tailgate glass. The 207 Economique will be available in a range of three exterior body colours and one interior trim, Savana cloth. The 207 Economique will also benefit from a range of new features. All are designed to assist the driver and, not only enhance their comfort and convenience but also, in some cases, help them to adopt a more environmentally-friendly driving style. This new feature helps the driver to adopt a more economical driving style by indicating the optimal gear to be selected, thereby ensuring the lowest possible fuel consumption and CO 2 emissions. The indicator is located in the odometer and consists of a rising vertical arrow indicating the best time to change gear. The driver, however, is responsible for following the system's indications. The best gear, or �target gear� is determined according to a number of parameters. The indicator arrow remains visible until the driver follows the suggested recommendation. First seen on the Peugeot 308, now the 207 Economique also benefits from one-touch direction indicators. This very practical feature, especially for motorway driving, activates the direction indicator for three flashes when the driver presses the indicator stalk which is often sufficient to indicate a safe lane change. The driver, therefore, does not have to switch the indicators on then off manually, preventing also the risk of forgetting to turn them off again. 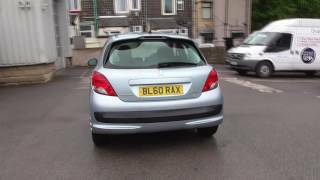 The 207 Economique shares the same front and rear suspension arrangement as the rest of the 207 hatchback range so will not only save money but will also provide all the driving enjoyment of the regular 207 hatchback. ABS, Electronic Brake Force Distribution (EBFD) and Emergency Brake Assist (EBA) are all fitted as standard. ESP is available as an option. 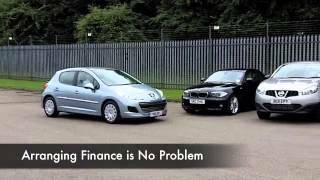 As standard the 207 Economique is fitted with a radio / single CD player with MP3 file compatibility but it can be fitted with Peugeot Connect USB with Bluetooth as an option. This system includes a radio with a MP3 compatible single CD player and full Bluetooth capability. The inclusion of Bluetooth enables a compatible mobile phone to be paired with the car. Once paired, the phone can be operated via the remote controls on the steering column. High-quality telephone communications can, therefore, be carried out in complete safety using both the car's speakers and inbuilt microphone. The system also includes a USB Box which consists of a connection box located in the centre console with a USB connector and jack socket, all protected by a hinged cover. Once connected, an MP3 player or an iPod can be operated via the radio controls or controls under the steering wheel, with the units' screen information shown also on the car's multi-function display. The unit is also capable of �streaming� music* via the Bluetooth function, making it possible to play recorded music from the memory of a Bluetooth phone or from a Walkman device equipped with a Bluetooth module. 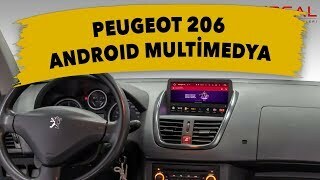 Peugeot Connect Navigation (RNEG) is also available as an option on the 207 Economique+. This accessible, latest-generation multimedia system is a genuine alternative to a mobile satellite navigation unit. Perfectly integrated into the vehicle's instrument panel, the system offers simple direct access buttons and shows information on a 7″ 16/9 colour screen complete with a perspective view.